9 Staging Hacks to Draw in Your Dream Buyer! Less is always more when it comes to preparing your home for the market. You don’t necessarily have to hire a home stager to get the look buyers love. Here are nine little moves that have a great impact for minimal effort or money. 1. Strip the Windows - light and bright is what sells! 2. White-out the Bathrooms - Just as hotels use white items to reinforce a clean and simplistic look, white in the bathroom makes things look fresh and new. 3. Update Kitchen Fixtures - No need to spend thousands on new cabinets and countertops - simply update cabinet/drawer knobs and maybe a little paint. 4. Flip Every Switch - During an open house make sure all lights are turned on. 5. Replace Wall Art with Mirrors - Art and family photos are too personal. Replace with a large mirror on one or two key walls in your home. 6. Roll Up Rugs - Buyers love hardwood floors so don't cover them up! 7. Swap Out Lampshades - Replace lampshades with light, clean modern white shades that you can easily find at Target or Ikea. 8. 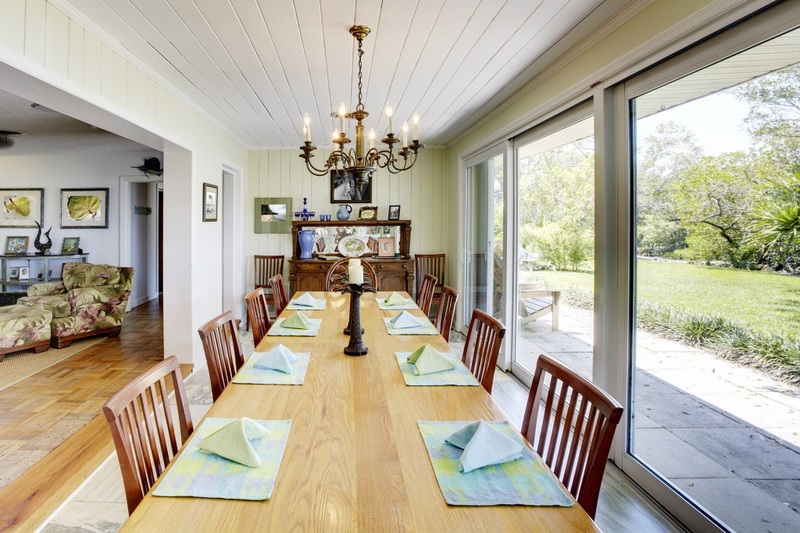 Set the Table - Makes your buyer feel at home! 9. Add a Metallic Accent - A metallic accent adds a contemporary and luxurious feel to your home.